Even though these drugs have different names, they all work in the same way to slow down the normal processes and communication in the brain by interacting with a chemical known as GABA. By slowing activity in the central nervous system (CNS), drugs like Ativan produce feelings of calm and relaxation. As a prescribed medication, many people benefit from the various effects of Ativan. Doctors frequently prescribe Ativan and other benzodiazepines to treat anxiety, panic disorders, insomnia and convulsions. Unfortunately, Ativan, benzodiazepines and other CNS depressants also carry drawbacks that may offset their advantages. Ativan drug abuse is also a concern. Worse, people may take too much Ativan and experience the harmful effects of an overdose. People often misuse Ativan and other benzodiazepines to get high or self-medicate. When someone abuses a drug like heroin or crack cocaine, it is easy to identify drug abuse because any use of these illegal substances is considered abuse. Since Ativan is a prescription medication, the process of identifying abuse becomes more challenging. Just because someone is using Ativan doesn’t necessarily mean they’re abusing it. If someone is abusing Ativan over time, they may start to develop Ativan addiction signs or Ativan dependency. Addiction is a psychological issue where the individual continually thinks about the drug and compulsively works to obtain it. When someone is physically dependent on Ativan, it means their body is so accustomed to the presence of Ativan that it requires it to function normally. When no Ativan is available, the person will feel ill and experience Ativan withdrawal symptoms. If you or a loved one exhibit even a few of these symptoms, it could indicate a substance use disorder. Professional treatment might be needed to address these symptoms. Overall, Ativan is a safe and effective drug that can treat anxiety and other conditions effectively. However, some people who use Ativan experience Ativan medicine side effects. Anyone using Ativan should know and understand the potential for side effects. As Ativan use continues, the associated risks increase. When the body builds a tolerance to Ativan, more of the medication is required to produce the same effect. Higher doses of Ativan increase the risks of short-term and long-term side effects. One of the most significant long-term side effects of Ativan use is physical dependence. The U.S. National Library of Medicine reports that people should only use Ativan in the short-term. Ativan use lasting longer than four weeks puts an individual at risk of developing Ativan dependence. Anyone planning to end long-term Ativan use should always consult a medical professional before beginning detox. Undergoing detox under the care of trained treatment providers can help limit dangerous withdrawal symptoms. Can you overdose on Ativan? Yes, you can, and many people do. The National Institute on Drug Abuse for Teens reports that over 8,700 people died from benzodiazepine overdoses in 2015 alone. Ativan overdose occurs in many situations. People can overdose the first time they use the substance or after abusing the drug for years. Combining Ativan with other drugs can also increase a person’s chances of overdose, especially when taking Ativan with other CNS depressants, like alcohol or opioids. Ativan overdose poses a serious health risk. Fortunately, a medication called flumazenil — also known by the brand name Romazicon — can reverse the effects of overdose and improve symptoms. Be sure to call 911 if you suspect that a loved one has overdosed on Ativan so emergency health personnel can administer this medication to them. Even though Ativan is available by prescription, it still carries the potential for dependence, abuse and addiction. 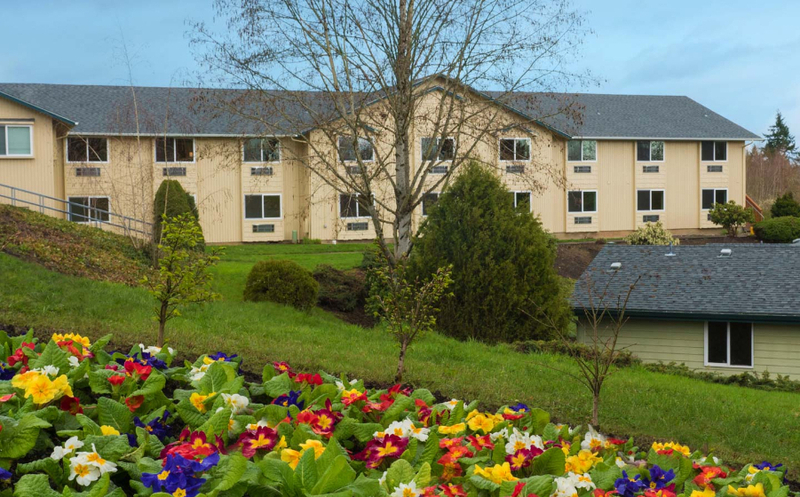 If you or a loved one have an Ativan addiction, it’s crucial that you reach out to a professional treatment center like The Recovery Village Ridgefield. They can help answer your questions about Ativan addiction and direct you toward helpful treatment options. Reach out to a representative today to get started.